Oliver + Robb Architects (ORA) are developing a new range of house types for Hadden Construction Limited for their new development at Inchture near Dundee which is currently going through the planning process. 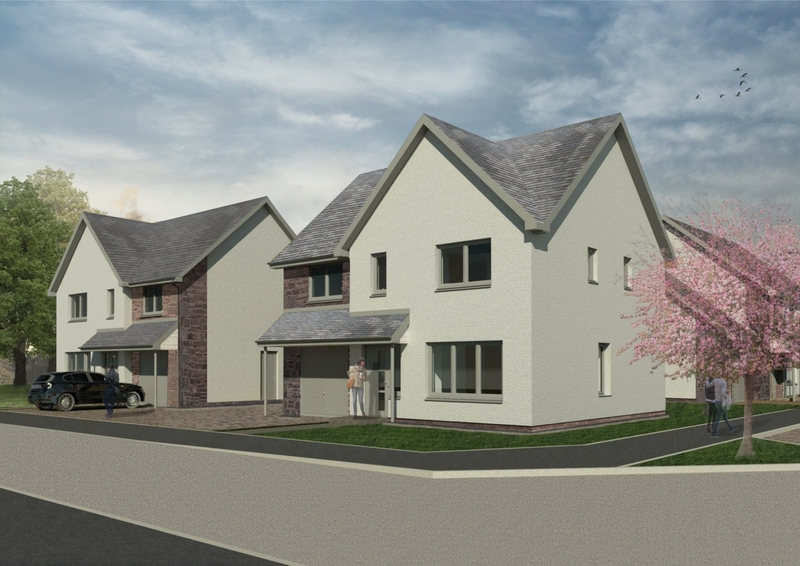 Comprising of 64 villas including 16 affordable homes for Perth + Kinross Council, this development enjoys a quality rural feel but benefits greatly from its proximity to excellent transport links, schools, shops and leisure facilities. The site lies to the North East of the village of Inchture and is an open stretch of land between the A90 dual carriageway and the former main street. The site benefits from outstanding panoramic views across prime agricultural and wooded land. The proposal for the new development takes inspiration and influences from the surrounding built environment to ensure it complements the local context which in turns enables the rural settlement to maintain its beautifully conserved appearance. The new streets and public routes around the site have been designed to incorporate communal squares and urban spaces, aimed to bring the new community together and provide places for the residents to meet, play and socialise. The public green space around the edge of the site offers the local inhabitants a more rural alternative. The network of existing, informal paths have, in part, been retained and supplemented with a circuit of natural trials and pathways. Carefully combined within the landscaping design this provides the site with a sense of identity and retains a place of familiarity.